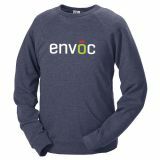 Custom crew neck shirts that subtly blend comfort and fashion make useful and high value promotional and personal gifts alike. Made in a mix of polyester and cotton, these collarless T-shirts with the iconic set-in sleeves, have always been middle names of comfort! Ideal for road shows, products launches and festive sale offer, these logo printed crew neck shirts can carry off your brand logo with elegance. 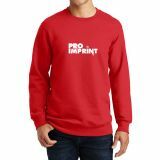 ProImprint has an impressive lineup of personalized crew neck shirts in all possible colors and sizes that will help even the budgets conscious marketers to kick off a high visibility promotional campaign! Personalized logo printed crew neck shirts perfectly fit your bills if you wish to set off a high visibility branding campaign on a budget. 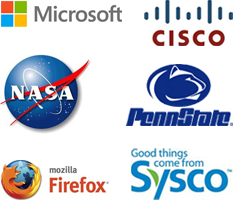 It is easy for you to always find a reason to give away these trend setters to your customers! Developed way back in 1932, these trendy sweaters have always been in fashion news ever since! 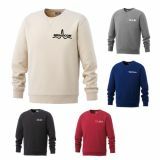 The US Navy which adopted crew neck shirts have imparted a macho appeal to these comfortable sweaters that are wearable on all occasions. 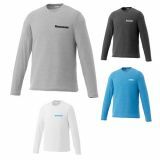 These custom crew neck shirts that can be worn alone or with other layers are well sought after for their comfortable round neckline patterns and sweat wicking features. The large imprint area will ensure glaring visibility of your logo and enhanced advertising benefits. Let your brand continue to work every time when someone wears these crew shirts to keep the brand promotional campaign alive! 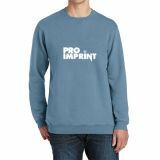 Light weight and fashionable, people will love these promotional crew neck shirts. These are well sought for their excellent moisture wicking properties coupled with antimicrobial and UV protection features which will keep them as cool as a cucumber even on summer midday! Crew shirts make highly useful gifts that your customers will hang on to for long. One cannot have too many of these trendy sweaters which means that these are always well received and treasured by your customers. Custom crew neck shirts are typically offered in standard polyester fabric or a comfortable mesh fabric that come in a variety of options like a hidden full-snap, 1/4-zip front closure, banded collar and so on. 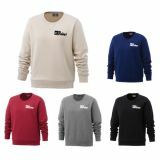 These logo printed promotional crew neck shirts are offered in a range of attractive colors and textures therefore letting these become loud and prominent billboards for cafes, hotels, gym, sports clubs and many others. 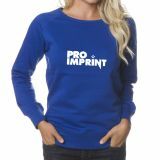 Choose from the impressive collection of personalized crew neck shirts at ProImprint to give your brand a high voltage exposure. Call us at 844-776-4677 or email us at info@proimprint.com for suggestions or tips so that you can find a crew shirt that matches with your brand identity in no time.